Even though many would say Google Maps remains superior to Waze, the community-based navigation platform does have its benefits. If you enjoy Waze, and also have a dash unit with Android Auto in your vehicle, you’ll be happy to learn that you can now access the service as soon as you plug in your phone. 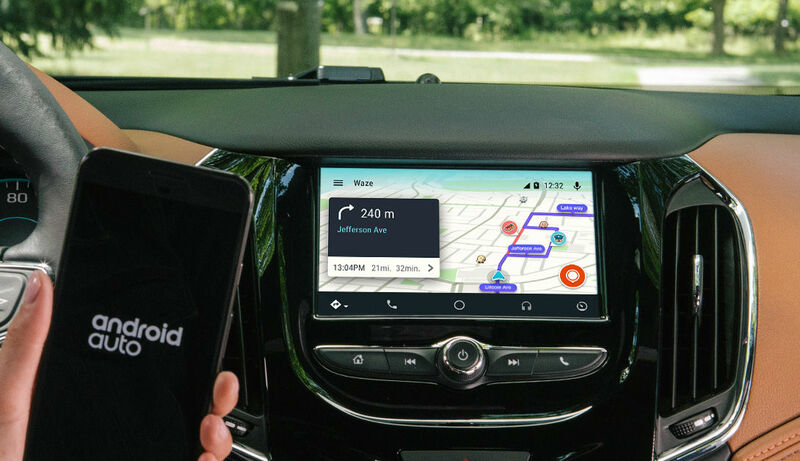 So long as you select Waze to be your default navigation app when you first plug in your device with the latest Waze app update installed, all of the same Google commands will work, including the typical “Ok Google, navigate to Wendy’s.” and the like. Here’s the important stuff to know. Navigate to all your most frequented destinations as pre-programmed in your Waze app in one tap—we’re talking home, work and your Waze favorites. Start any drive using voice command “OK, Google” to tell Waze your destination and get on the road even quicker. Receive visual and audio alerts to keep you informed of what’s ahead and find the fastest routes. Bonus: you’ll enjoy a larger map with bigger views of alerts, hazers and more. Access your personalized Waze experience from your phone on your car’s bigger screen. Easily view your ETA Panel, which organizes everything you need in one place so you can seamlessly check alternate routes and adjust your sound settings. Help other Wazers on the road through a visual reporting menu. Android Auto users, go try it out and report back.